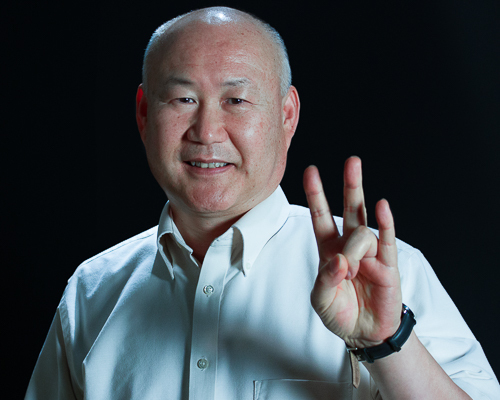 After years of service to the University of Houston, Dr. Jaesub Lee has been promoted to a full professor at the Valenti School of Communication. This pivotal academic honor signifies years of research, teaching, and service contributions. Dr. Lee joined the faculty at the Valenti School of Communication in 1995 and received tenure in 2001. He says his favorite course to teach has been Communication Research Methods, where he receives “instant gratification” with student progress. Dr. Lee has directed over 40 graduate thesis projects during his career. “I have worked with many thesis students intensely resulting in publications, some of which are highly cited in the field,” said Dr. Lee. He points to one research article, Leader-Member Exchange and Organizational Communication Satisfaction in Multiple Contexts, as an example. It was produced by a former student and has been cited 335 times by other academic scholars. As part of his dedication to student success, Dr. Lee will continue involving both undergraduate and graduate students in his projects. This commitment is also reflected in his passion for diversifying the school’s faculty and staff.